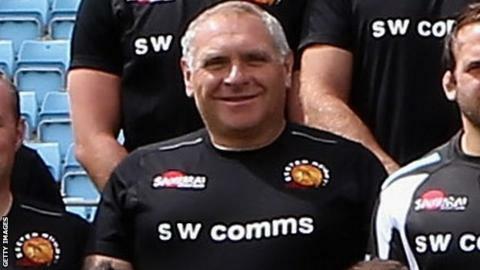 Exeter Chiefs academy coach Rob Gibson is to take charge of Plymouth Albion for the final two games of the season. The National One club is looking for a new director of rugby after Graham Dawe stood down on Monday. Gibson, along with Exeter academy manager Robin Cowling, attended a players' meeting at the Brickfields on Monday night as representatives of the club's new owners met with the squad. Gibson will be assisted at Albion by fellow Exeter academy coach Sam Morton. His first game in charge will be against Hartpury College on Saturday 24 April.